One awesome thing about s’mores is there are great any time of the year. While probably best in the summer, fall is a great time to enjoy s’mores around the fire or even in the winter. Yum! 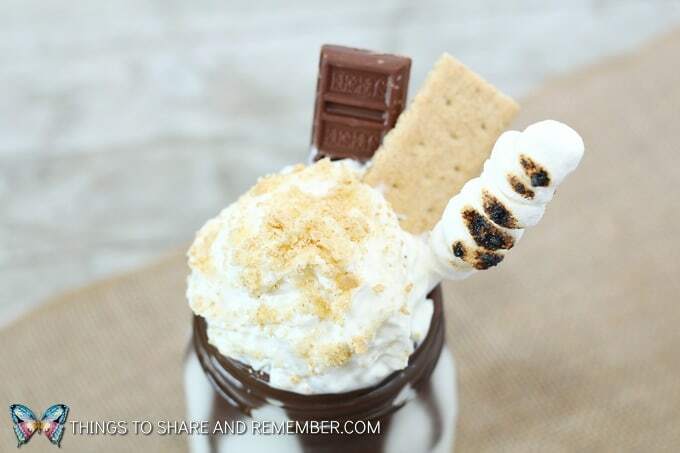 What about a s’mores milkshake? 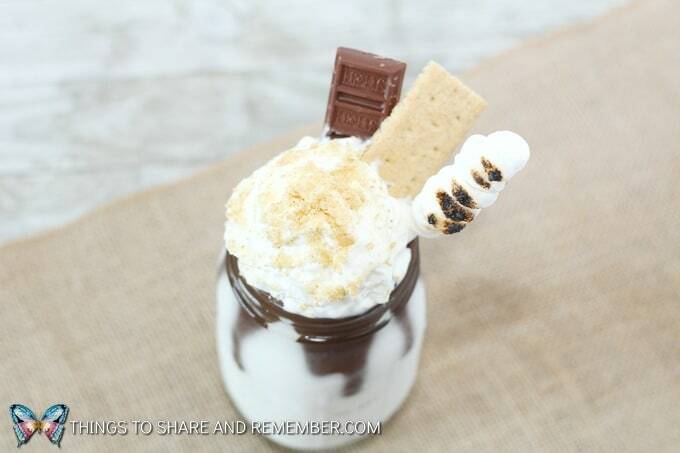 Combining s’mores and ice cream?? Sounds good to me! Start by placing your ice cream, milk, and marshmallow into a blender. Blend until smooth. Take your Magic Shell fudge and run it along the rim of the glass, allowing it to run down into the glass. Freeze until hardened. Pour milkshake into the glass. Top with whip cream and sprinkle whip cream with graham cracker crumbs. 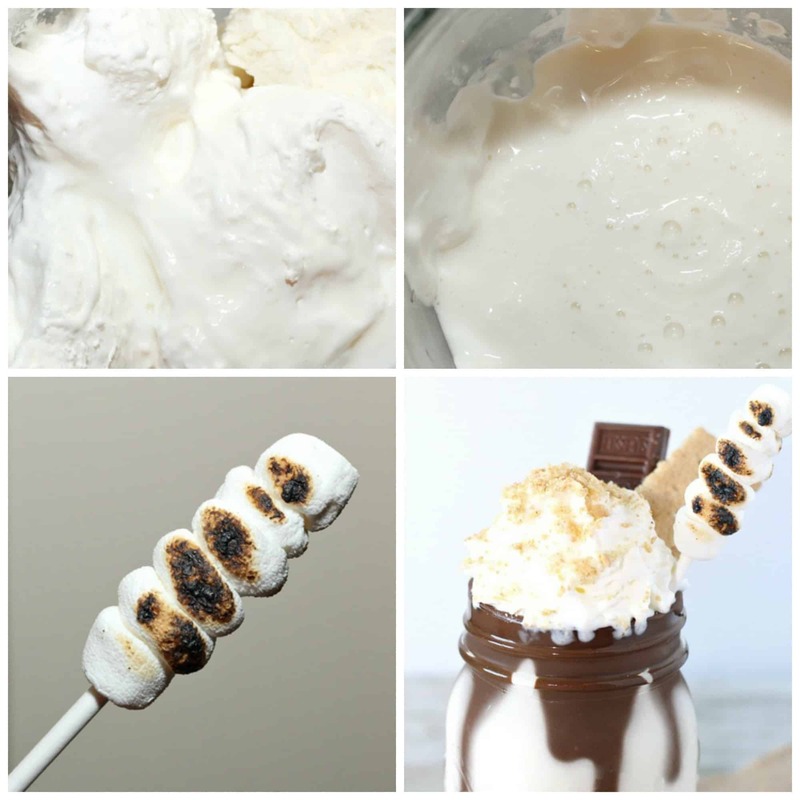 Place about 6 mini marshmallows onto the cake pop stick and brown with a lighter or torch. Place stick into the drink, as well as a graham cracker, and Hershey bar. I’m all about shakes with a little something more to them. This one looks great. 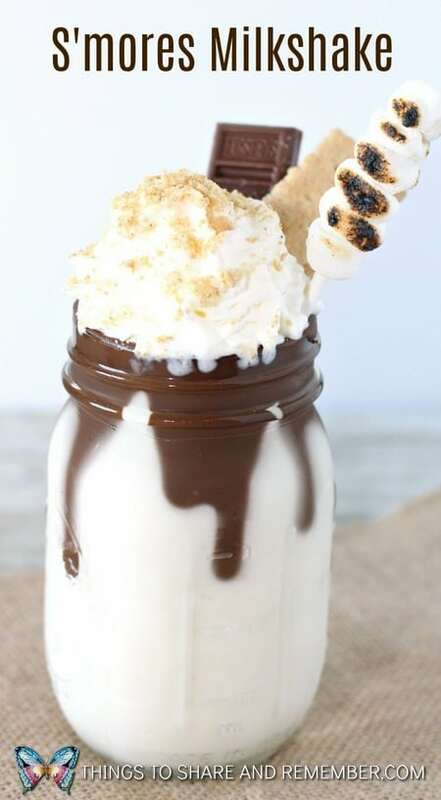 Can’t wait to make it, I’ve never made a smore’s shake before!